With the passage of time, the businesses and industries around the world are growing stronger. They are expanding their operations globally at a very fast pace and are reaching the international market every day. With the expansion of these industries and businesses, the financial reporting and management is becoming even more complex. New standard setting bodies and many other professional bodies are making an effort to streamline the accounting standards and laws in order to take the stakeholders in confidence by meeting their requirements and provide them with efficient reporting of financial activities, which would be helpful for their decision making. Therefore, all the major countries of the world have their professional bodies that are offering professional certifications to individuals in order to equip them with necessary and updated knowledge of business and finance. These professional bodies are making continuous efforts to keep their courses updated so as to stay abreast of the latest developments in the accountancy field. This is being done to ensure that the professional accountants of these professional bodies remain competent to deal with the national as well as international issues more effectively and efficiently. It will help these accountants to stay up to date with the current changes in the market and as a result, they will be of great help to the business communities and industries worldwide to keep their financial operations and reporting in line with the varying requirements and laws of international market. There are certain experience and educational requirement that are required to be met in order to become a CPA. Moreover, an individual has to go through a series of rigorous exams to be a certified public accountant. 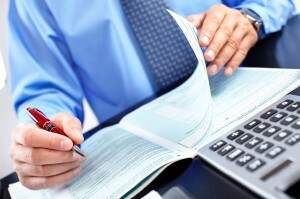 The educational requirements include, a bachelor’s degree, 24 semester units in business subjects, 24 semester units in accounting subjects, passing the uniform CPA exam, 150 semester units or 225 quarter units of education if a person has one year of general accounting experience supervised by a CPA and a professional ethic exam for CPA. However, a person does not have to meet the requirement of 150 semester units if he or she has two years of general accounting experience supervised by a licensed CPA. CGA, on the other hand, has somewhat similar educational requirements, but the overall structure of CGA is different from a CPA program. Candidates are required to complete 19 courses and exams that are approved by CGA Canada, but they can enter the program without a post-secondary degree. First 17 courses consist of the basic curriculum of the undergraduate accounting degree. So, if a person has an accounting degree, he or she can complete the remaining two professional level career courses and become a CGA. CPA is a four-part computer based exam. It is a standard exam taken by the individuals all across the United States and covers subjects, such as, financial accounting and reporting for business and non profits, the taxation system and regulations, auditing and attestation standards and procedures, financial planning, information technology, and business environments and concepts. On the other hand, an individual has to pass the comprehensive exams including, Issues in Professional Practice (P1) and Strategic Financial Management (P2) to qualify CGA. CPAs are required to have a strong accounting background as they provide services to both the individuals and businesses. Whereas, CGA exams are designed to assess the ability of candidates to perform professional tasks and to get a strong grip on accounting, such as, assurance and related services, ethics, taxation, financial accounting and reporting, financial planning, management accounting and information technology. Hira Waqar. "Difference between CGA and CPA." DifferenceBetween.net. May 13, 2014 < http://www.differencebetween.net/business/accounting-business/difference-between-cga-and-cpa/ >.